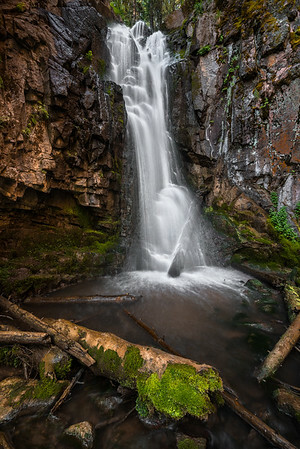 Images of landscapes in New Mexico, including sweeping vistas and natural subjects such as trees and waterfalls. 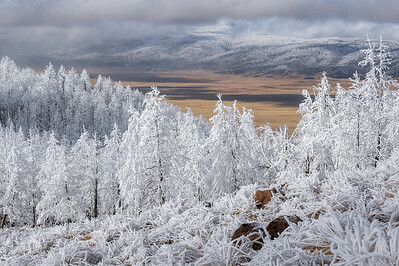 Heavy rime in the Jemez Mountains. The Valles Caldera is in the background. 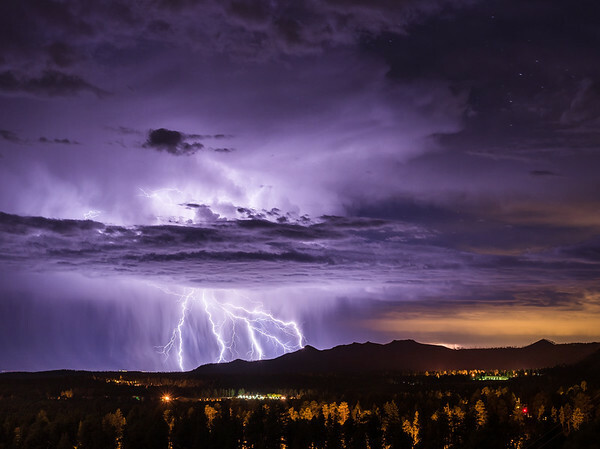 Photo featured on live TV on The Weather Channel. 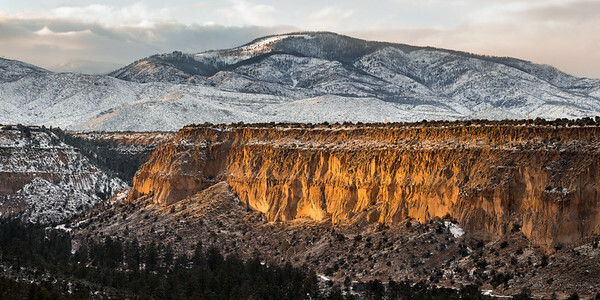 North Mesa of the Pajarito Plateau in Los Alamos, New Mexico. The Jemez Mountains are in the background with Caballo Mountain rising high in the center. 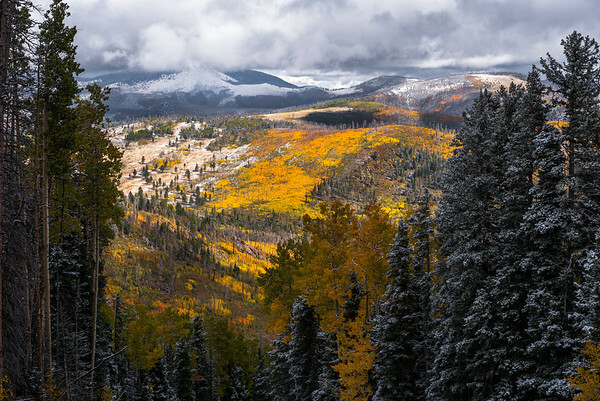 The burn scars of the Jemez serve as nature's canvas as she paints strokes of colorful aspens across the mountains. Cerro Grande and Las Conchas fire burn scars. 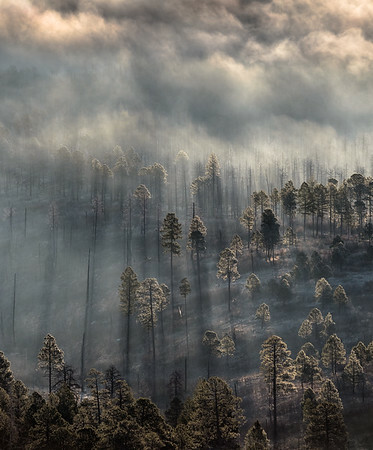 Photo featured by both Outdoor Photographer and Smithsonian. 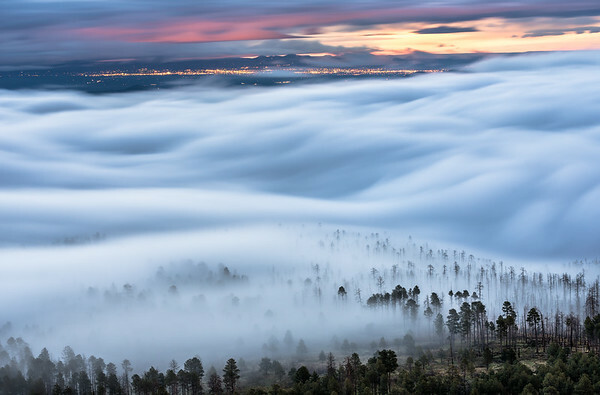 Fog fills White Rock Canyon. Trail leading up Cerro Grande in Valles Caldera. 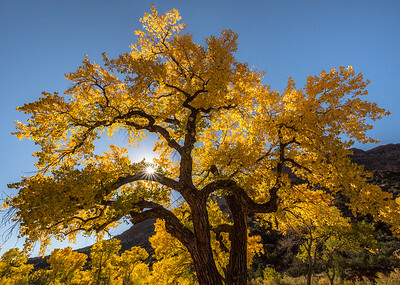 Photo published in New Mexico Magazine. 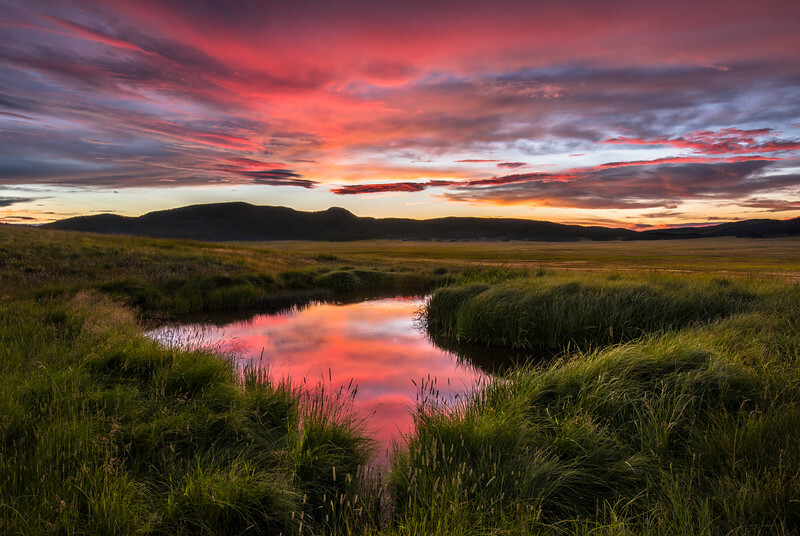 Sunset over the Valles Caldera, with Redondo Peak in the background. 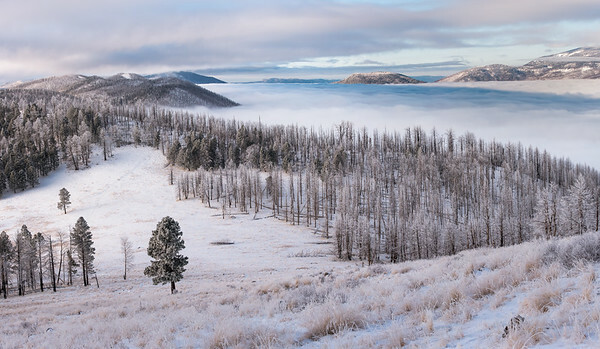 Photo featured by the US Department of the Interior.